I hope this newsletter finds you well. I was so impressed with Region 1 elections this past Saturday. Some Neighborhood Councils - Arleta, Sylmar, and Sunland-Tujunga - were turning out historical highs, thanks to some great outreach. Our super elections team, led by the fearless Stephen Box, were out in force to make sure everything was running smoothly. 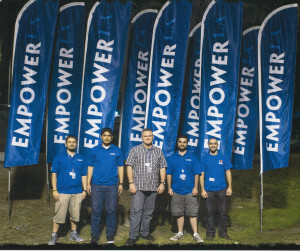 We were also flying our new EmpowerLA banners, too, which I thought were pretty neat and eye catching. Elections continue in Region 3 on Sunday and Region 4 on Thursday so we are definitely keeping busy. 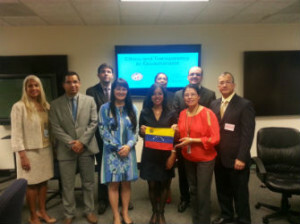 We welcomed an international delegation from Venezuela on Tuesday, which included a Governor and Congressman. They were here to learn about the Neighborhood Councils' role in ethics and government. Thanks to Deputy City Attorneys Carmen Hawkins and Alois Phillips for working with our staffers, Leyla Campos and Melvin Canas, to set up a very educational experience for them. I think Venezuela may be the next country to develop a Neighborhood Council system modeled after Los Angeles based on their interest. Last night at the Valley Alliance of Neighborhood Councils, Chair and LADWP Commissioner Jill Banks Barad welcomed Mayor Eric Garcetti, who stopped by to personally introduce LADWP's new General Manager, Marcie Edwards, to the Valley Neighborhood Council leaders. 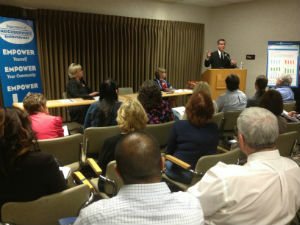 I think everyone in the packed room was excited to welcome back fellow Valley folks, as both Mayor Garcetti and Marcie grew up in the Valley, and was impressed by LADWP's new leader as she answered the many questions about the City's electricity and power issues. Afterwards, we all had cupcakes to celebrate the birthday of Judi Daniels, Vice President of Chatsworth Neighborhood Council and VANC Executive Officer. Happy Birthday, Judi! We are sprinting to the end of the fiscal year so please make sure your Neighborhood Council finances are in order. There are some corrections in the end of year fiscal deadlines so please read more about it in Armando's report below. As always, thank you for all your wonderful work! If I don't see you at Sunday's elections, have an excellent weekend!